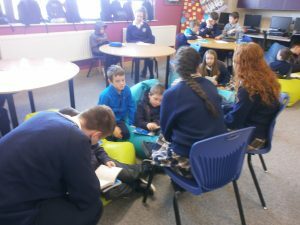 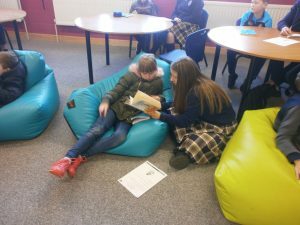 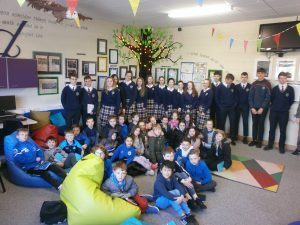 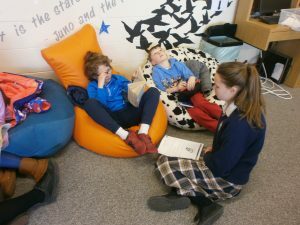 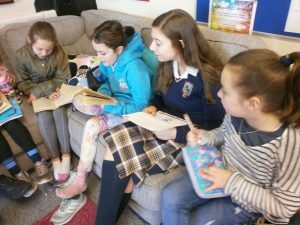 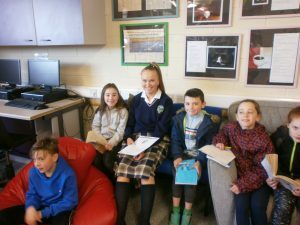 James’ third class have been travelling across to the secondary school to participate in Paired Reading along with the transition year students in Donabate Community College. 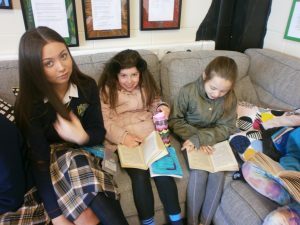 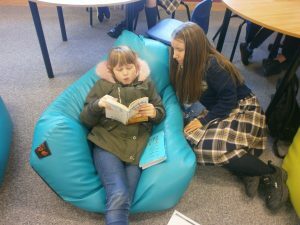 They have been reading through novels such as the Giggler Treatment by Roddy Doyle and Charlotte’s Web by E.B White. 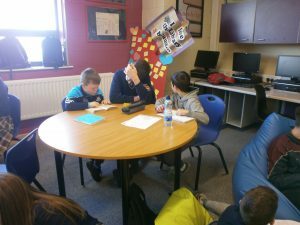 It was really enjoyable and both groups worked really well together exploring some fantastic stories.